GrooveMaker Rock Ace, Workstation, DAW or sequencer for iPhone / iPod Touch / iPad from IK Multimedia in the GrooveMaker series. 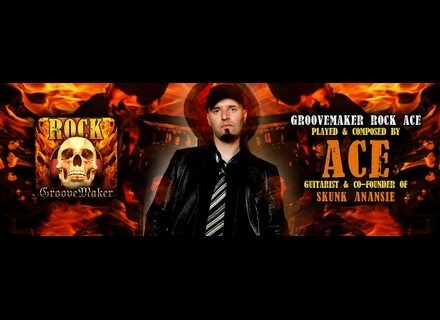 IK Multimedia announced the release of the first artist created GrooveMaker app for iPhone/iPod Touch: GrooveMaker Rock Ace by Skunk Anansie's guitarist Ace. This is the latest addition to the GrooveMaker range of 9 currently available titles. The company says GrooveMaker Rock Ace is designed for "non-stop, in your face, rocking". Check out www.groovemaker.com/rockace for more. Sounds of Revolution Kick Free Revolution Vol. 2 Sound of Revolution just made available a new collection of 600 house samples, Kick Free Revolution 2.